The March for Life Rally will take place at noon at 12th St. on the National Mall, in between Madison Drive and Jefferson Drive. Participants will then march to the Supreme Court building on Capitol Hill at approximately 1:00 pm. Abby Johnson, a former Planned Parenthood director, and Ben Shapiro, a political commentator, writer, and lawyer, are scheduled as speakers. 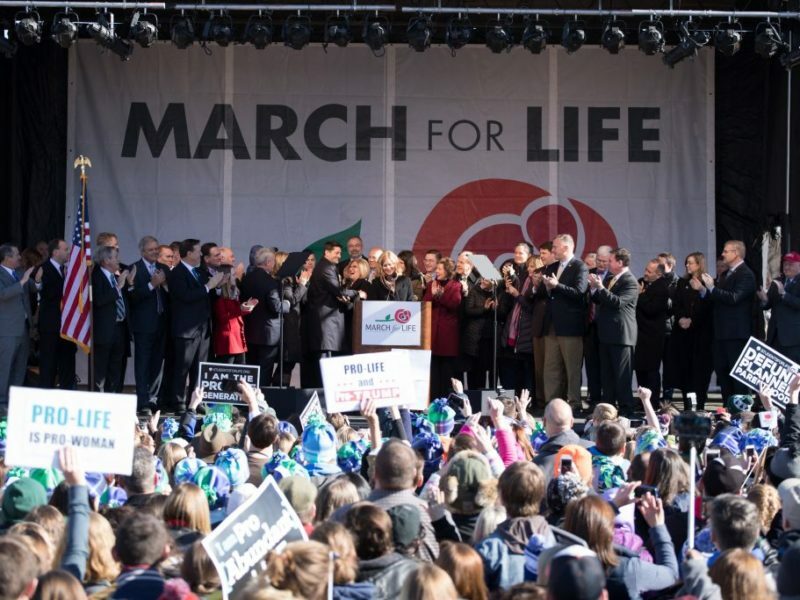 “This annual March for Life Rally serves as a reminder there is hope for reversing the Roe v. Wade abortion opinion and making the womb a safe place again,” said Mat Staver, of Liberty Counsel, an organization dedicated to advancing religious freedom, the sanctity of life, and the family since 1989. “It is tragic when the leading cause of death in the world is murdering innocent children. We must take a stand for the sanctity of life and let legislators and Supreme Court justices know that it’s time to stop the human genocide,” said Staver. Click for more information about March For Life.